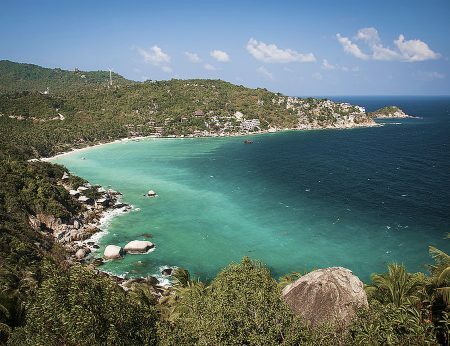 The scene of a grisly double murder, a bungled police investigation, and a gross miscarriage of justice, the Thailand holiday island of Koh Tao is rapidly devolving into a filthy, putrid, cesspool sending tourists fleeing and riling local residents. One of Thailand’s best known tourist destinations, the tranquility and charm of Koh Tao was shattered in 2014 when the bodies of British tourists Hannah Witheridge, 23, from Norfolk and David Miller, 24, from Jersey were found on a beach in the early morning. Forensic examinations allegedly showed Ms Witheridge had been raped and beaten to death, while Mr Miller was struck on the head and left to drown in the surf. A Thai court convicted and sentenced to death Burmese migrant workers Zaw Lin and Wai Phyo for the murders. While the family of one of victims accepted the court verdict, most observers assailed it as “flawed”. Human right groups and international jurisprudence observers described the verdict as a “miscarriage of justice”, with the veracity of DNA evidence (the only evidence) used to convict the pair, the laboratory that conducted the tests, the DNA collection method, and the Thai defence team heavily criticised and seeing the conviction now subject to appeal. The violent nature of the deaths, along with the Royal Thai Police (RTP) handling of the case and accusations that powerful local identities were involved in the deaths further sullied Thailand’s reputation as a safe tourist destination. Since January 2014 six foreign tourists, including three additional Britons have died on Koh Tao, with the official explanation for each only posing more questions than the answers provided. Understandably bookings and visitor numbers for Koh Tao, whose economy is centred on tourism, particularly scuba-diving, slowed in the aftermath of each death. Now the tourists are leaving for another reason. 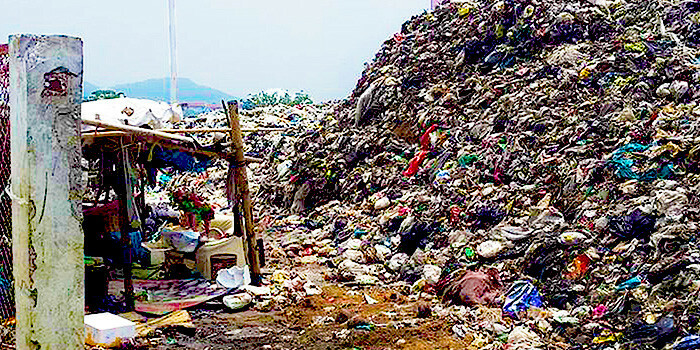 According to a report in Phuket Gazette tourists and residents are now having to contend with a 45,000 ton mountain of putrid garbage after the Koh Tao Municipality failed to renew the island’s garbage disposal contract last month, or appoint a replacement contractor. Around 30 to 40 tons of trash has been piling up each day on the island since the middle of August, with wet season rain washing the filth onto the streets and filling the air with a foul smelling stench. Defending the decision of the municipality to not renew the waste disposal company’s contract, chief administrative officer Auaychai Srithong said the company failed to fulfill its obligations and was mismanaging the trash. 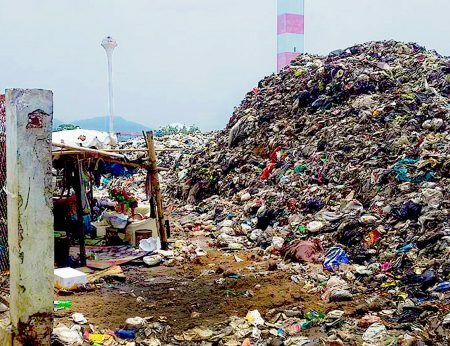 With residents close to the garbage site complaining of overflowing trash, skin ailments, and rashes, and tourists checking out of accommodation due to the stench, Mr Srithong said plans were afoot for a Bt6 million (US$173,045.34) solution to Koh Taos festering garbage mountain, though declined to say what those plans were or when they would be implemented. In the meantime an estimated 40-50 tons of garbage a day is being added to the putrid pile. The inability of Thailand to handle the huge amounts of trash on its popular tourism islands is not unique to Koh Tao. 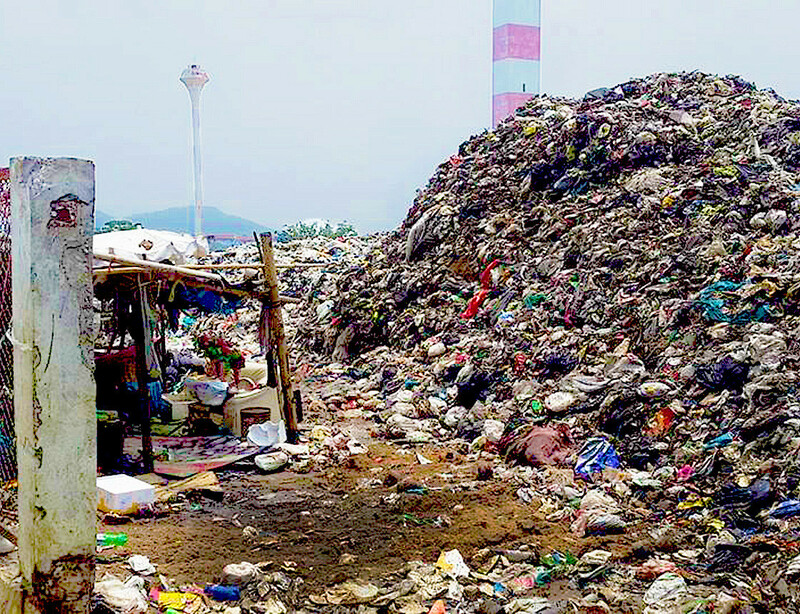 On nearby Koh Samui a nine-year-old mountain of trash estimated at more than 250,000 tons and as high as a three story building continues to expand at the rate of some 150 tons a day, after the island’s incinerator broke down eight years ago. According to the Samui Times the garbage disposal site at Huathanon remains desolate and abandoned, the windows of the garbage processing building smashed out, with rats and flies the only inhabitants. The island’s groundwater and nearby rivers and lakes are said to be now heavily polluted from toxic wastewater leaching from the putrid, decaying, and toxic trash. The island of Koh Larn off the eastern city of Pattaya faces a similar problem. According to a recent Pattaya Mail story some five million people a day visit the island who, along with the island’s 2,000 households, generate about 50 tons of trash a day. Accumulated, unprocessed trash on Koh Larn is put at some 30,000 tons. Two years ago one of two ships employed transporting trash each day to Pattaya on the mainland broke down resulting in government officials establishing temporary dump sites, some in front of Koh Larn’s most scenic beaches. The situation is not much different on the island’s of Koh Chang, Koh Phangan, and Koh Phi Phi where local authorities have similarly failed to manage spiraling amounts of garbage that rising numbers of tourists and those who cater to them generate, while enjoying the economic benefits of the increased popularity. Once renowned for their crystal clear-blue waters, and thriving reefs with abundant schools of fish, incompetence, mismanagement, lax law enforcement and a failure to adopt sustainable practices are rapidly turning Thailand’s tourist islands in islands of trash. 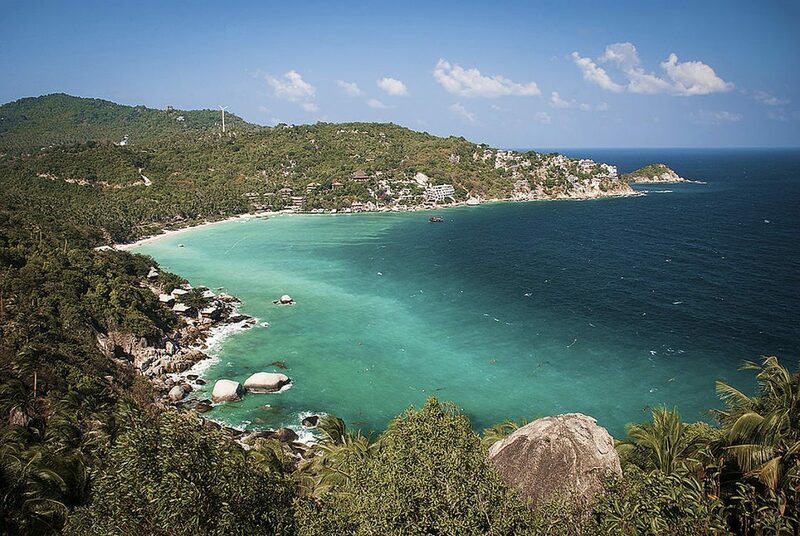 2 Responses to "Government Ineptitude Turns Koh Tao Into Filthy Cesspool"
This problem is contained to a small area of Koh Tao island, and has not affected the very popular, main tourist area of Sairee beach.